Breeders’ Cup Juvenile winner Texas Red was beaten by Bob Baffert’s Lord Nelson in the Grade 2 San Vicente Stakes last weekend. Kent Desormeaux settled the son of Afleet Alex at the rear of the six-runner field before launching his challenge up the rail. Rafael Bejarano delivered Lord Nelson on the outside and was briefly headed inside the final furlong before rallying to win by a neck. 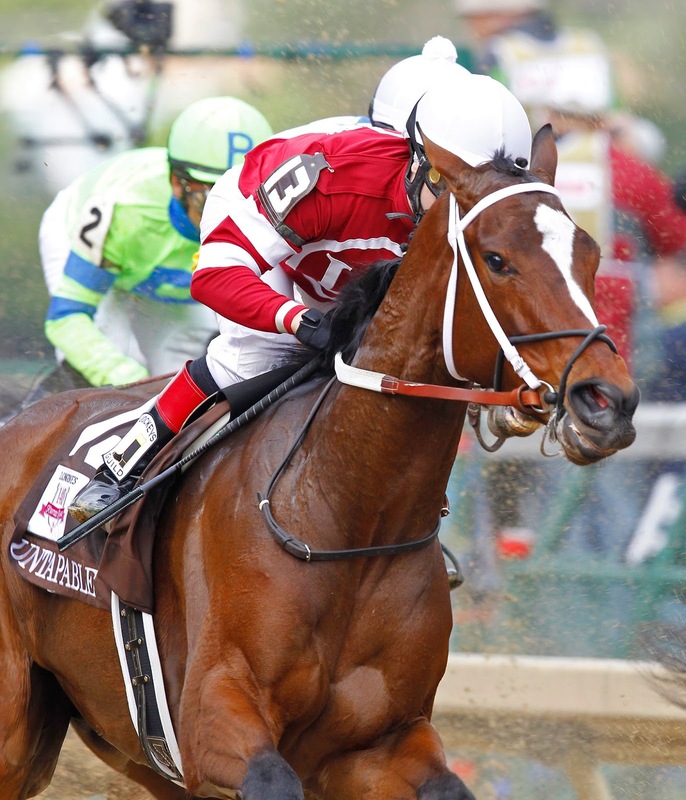 Texas Red was among the outsiders at around 14-1 for the Kentucky Derby after the race with Lord Nelson at 25-1. It was a ninth win in the Vicente Stakes for Baffert but connections of the runner-up were not too disheartened. Their colt was giving 5lbs to the winner and was racing over an inadequate trip of seven furlongs. When Texas Red won the Breeders’ Cup, he was detached in the early stages before his stamina came into play in the closing stages. Connections are optimistic that he will improve over a longer trip in the Grade 2 Risen Star Stakes at Fair Grounds on February 21st. Ocean Knight remains a general 33-1 shot after arriving late to catch Divining Rod in the Grade 3 Sam F. Davis Stakes at Tampa Bay Downs. There were no points on offer on Saturday but Kiaran McLaughlin’s Curlin colt will be chasing 50 points next time in the Tampa Bay Derby on March 7th. The colt had to deliver his challenge on the outside and it was a big improvement on his debut victory at Aqueduct. Divining Rod is not nominated for the Triple Crown but battled on bravely when challenged and should win his fair share of races for Arnaud Delacour. One horse that will not be lining up in the Triple Crown is the Peter Miller-trained Calculator. The son of Summation won the Grade 3 Sham Stakes and was also runner-up in the Del Mar Futurity and the FrontRunner Stakes. The grey had worked brilliantly over five furlongs at San Luis Rey Downs on New Year’s Eve but has been side-lined by an injury that will keep him off the track for six months. Former Aidan O’Brien colt The Great War started the season with an impressive victory in the 96Rock Stakes at Turfway Park. The son of War Front stormed to a seven and a quarter lengths victory over the six and a half furlong trip. The Great War raced seven times in the UK and Ireland last season before finishing a creditable fourth in the Breeders’ Cup Juvenile. He won over five furlongs at Tipperary and the Curragh before proving a disappointing favourite in the Norfolk Stakes at Royal Ascot. He won the Listed Blenheim Stakes over six furlongs at the Curragh in September to earn a trip to Santa Anita. The Coolmore team decided to leave him in the capable hands of Wesley Ward over the winter. Ward is familiar to British racing fans for his successful raids on the two-year-old races at Royal Ascot, including Hootenanny in the Windsor Castle Stakes last summer. The Great War was given a tentative quote of 40-1 for the Kentucky Derby. The Grade 2 Robert B. Lewis Stakes at Santa Anita and the Grade 3 Withers Stakes at Aqueduct could provide some early Derby clues this weekend. The Lewis sees the return of Dortmund who is set for a re-match with Los Alamitos Futurity runner-up Firing Line. Kentucky Jockey Club winner El Kabeir is long odds-on favourite to continue his progress in the Withers. The grey faces six maiden stakes winners in the $250,000 contest at Aqueduct as he bids to follow up his victory in the Jerome Stakes at the same track. El Kabeir goes into the weekend at equal-first in the list of Derby contenders with 21 points alongside International Star. There are 429 horses entered for the Triple Crown this year, just fifteen more than last year and the highest since 2008. Aidan O’Brien has entered five colts led by Racing Post Trophy runner-up Aloft. He chased home the impressive Elm Park at Doncaster in October and is joined by Battle Of Marathon, War Envoy, Smuggler's Cove and Royal Navy Ship. Dermot Weld, who won the 1990 Belmont Stakes with Go And Go, is represented by Don Camillo, Sight Hound, Time To Inspire and Tombelaine. John Oxx has entered an unnamed Kamarinskaya colt while Godolphin’s entries include recent all-weather winner Tempus Temporis and Somerville Tattersall Stakes winner Maftool. The Triple Crown begins with the Kentucky Derby at Churchill Downs on May 2nd. The Preakness at Pimlico Downs follows on May 16th with the Belmont making up the final leg on June 6th. The last horse to win the Triple Crown was Affirmed in 1978.